Mandala is a spiritual and ritual symbol in Hinduism and Buddhism, representing the Universe . 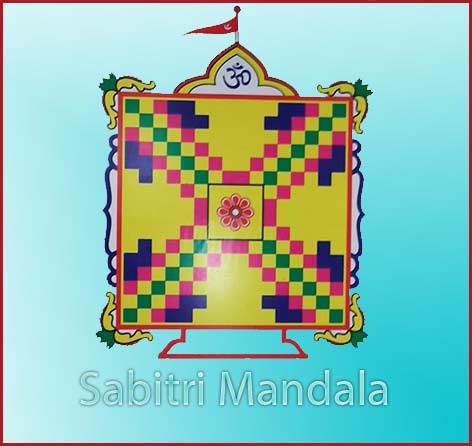 The basic form of most mandalas is a square with four gates containing a circle with a center point. I mediate on the solar orbit with Narayan in the middle, wearing armlets, golden earnings with Necklace. His head is covered with a crown and He holds the conch and discuss in his hands while His body shines with a golden color.